The 35th America’s Cup in Bermuda will feature the fastest yachts in the 166 year history of the competition, and the event will also play host to a gatherings of superyachts, which will add to the sheer spectacle of the America’s Cup. Superyachts are a very important part of the America’s Cup and, reflecting the high value of their role in the events that will take place in Bermuda in May and June, a dedicated America’s Cup Superyacht Program was created by the America’s Cup Event Authority [ACEA], in conjunction with BWA Yachting. BWA Yachting played a central role in the America’s Cup Superyacht Program at the 34th America’s Cup in San Francisco in 2013. Their knowledge, expertise, and the trust the superyacht community has in BWA Yachting made them the perfect partners for the America’s Cup Superyacht Program in Bermuda in 2017. Sam Hollis, COO of the ACEA, explains, “We have made great efforts to engage the global superyacht community and we are looking forward to showcasing some of the world’s biggest and most beautiful superyachts at the heart of our event. “We are offering incredible access for owners, including front row viewing of the race course, premium berthing at America’s Cup Village and experiences and opportunities that, really, money can’t buy. Stefano Tositti, CEO of BWA Yachting, added, “Through our experience and expertise we look forward to delivering the America’s Cup Superyacht Program, making it the experience of a lifetime for everyone who will join us at this exclusive event. 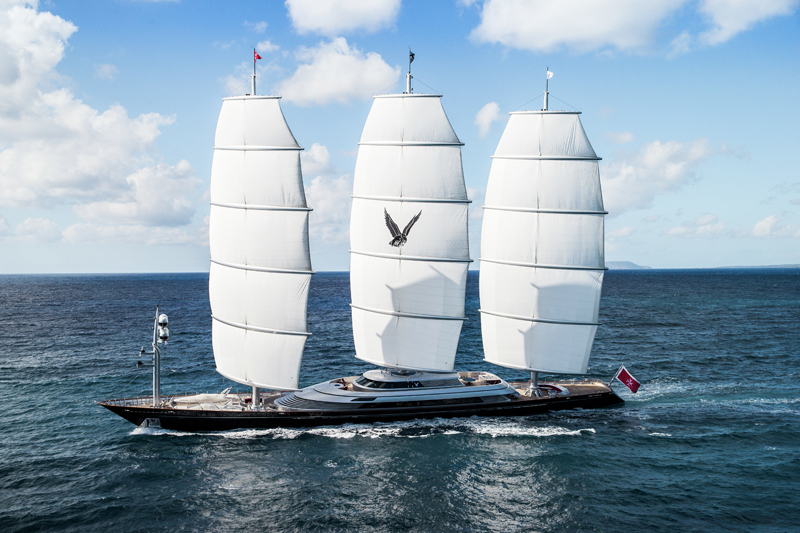 The America’s Cup Superyacht Program is not just about beautiful yachts watching the action. It also incorporates racing with the America’s Cup Superyacht Regatta, being run from 13 – 15 June in conjunction with Boat International. 19 superyachts are already entered, including Adela, the 55 metre superyacht which won the 2013 America’s Cup Superyacht Regatta. Stay in school, get good grades, work hard, work your way up!!$!! Work hard, take risks and you can be rich too. Or sit back and wait for it to drop into your lap. You only get one life, make the most of it. The comment was merely highlighting the irony of Sam Hollis’s comment that only people with significant money can access these experiences “that money cannot buy”. I totally agree with your motto of work hard, take risks and you can be rich too.